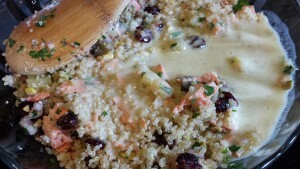 Salmon Pineapple Cranberry Quinoa Salad. This salad is a bit tropical in flavor. 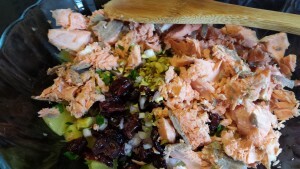 It’s a great use for leftover cooked salmon. 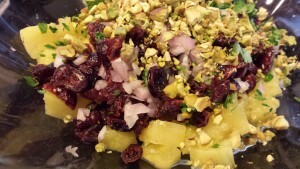 Some pineapple chunks and some dried cranberries and shallots bring sweet, tart, and savory flavors. Chopped pistachio nuts add some crunch. Gluten free quinoa is the base for this salad. And lastly, a citrusy yogurt dressing scented with cardamom adds a sunny taste. 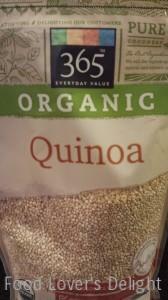 Quinoa is a versatile cereal seed. 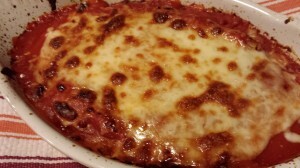 It’s become very popular recently as a gluten free option to replace pasta. I like to use it as a side dish or in a chilled or warm salad. Quinoa cooks quickly, too. 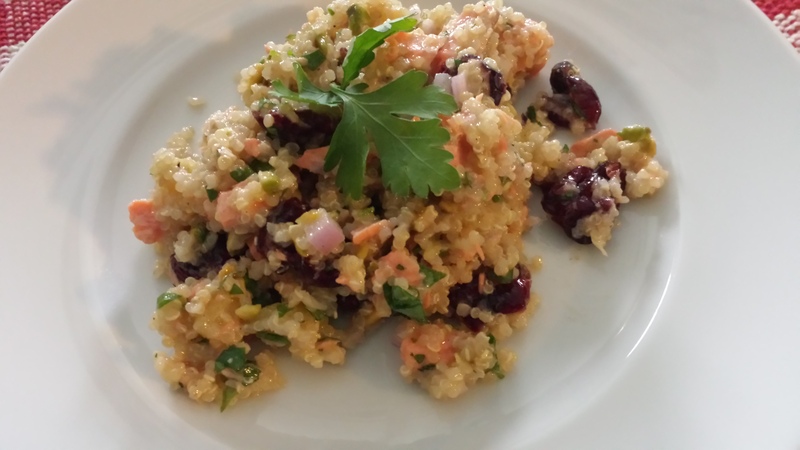 My Salmon Pineapple Cranberry Quinoa Salad tastes best chilled rather than hot. It travels well for a picnic or potluck gathering. Just let it sit in the fridge for a few hours or overnight. Be sure to eat no later than the next day as the flavors might over-intensify. How to make it? 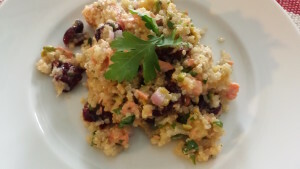 Just combine some chilled flaked baked salmon (skin removed), chilled diced pineapple, dried cranberries, minced shallot, chopped pistachios and chopped Italian parsley in a large bowl. 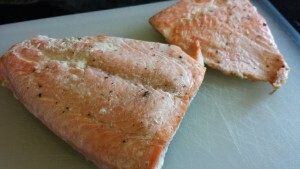 If you want to learn how to bake salmon fillets, see the NOTE at the bottom of the page. 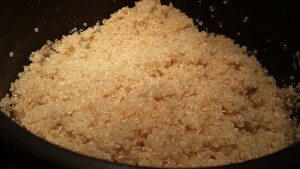 Add some chilled cooked quinoa. Add to that a creamy citrusy dressing of orange juice, plain yogurt, honey, ground cardamom, salt and olive oil. Refrigerate overnight in a covered container. Season with salt and pepper and stir before serving. 1. 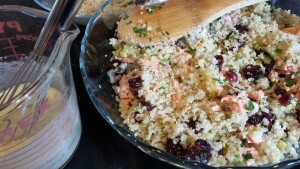 Combine the chilled cooked quinoa, chilled baked salmon, chilled pineapple, dried cranberries, shallot, pistachios, and parsley in a large bowl. 2. 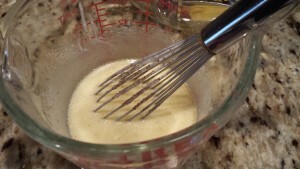 In a separate bowl, whisk together the orange juice, plain yogurt, honey, cardamom, salt and olive oil until well-mixed. 3. 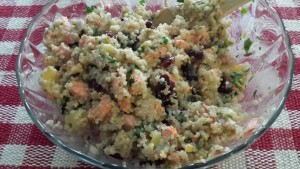 Add the dressing to the salmon quinoa mixture and toss. 4. 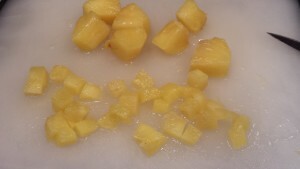 Serve immediately or refrigerate in a covered container overnight. Makes about 4 cups. Serve by itself or over a bed of salad greens. 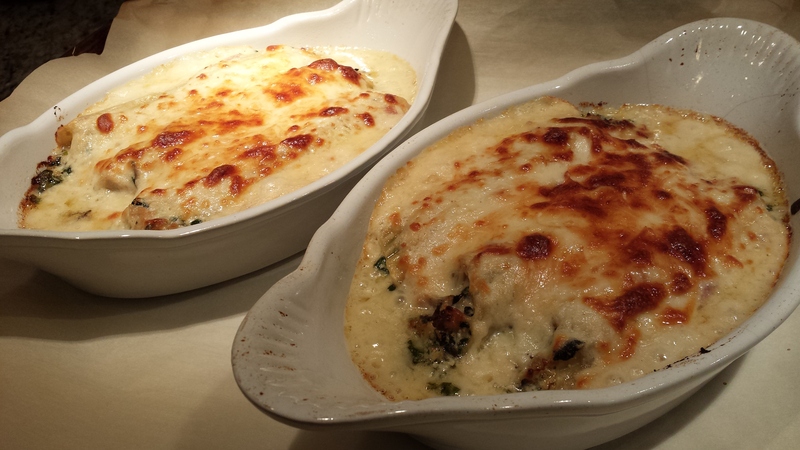 Makes a simple lunch or weeknight dinner. Offer along with other brunch items on a brunch buffet table. Use either the same day or next day. Variations: Use any flaked cooked fish. Diced cooked shrimp can be substituted for the salmon. 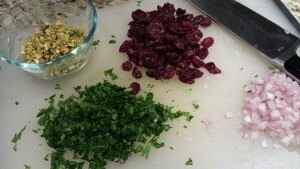 Use dried cherries instead of cranberries. Add some mandarin orange segments. Omit the yogurt in the dressing if you are avoiding dairy. Use chopped cashews instead of pistachios. Omit the nuts if you have a nut allergy. NOTE: To bake salmon fillets, preheat your oven to 400 degrees Fahrenheit. Place the salmon skin-side down on a baking sheet lined with parchment paper. Season the salmon flesh with salt and pepper. You can also drizzle the fillets with a bit of olive oil or place a pat of butter on each fillet. Bake each fillet for 8 – 12 minutes depending on your doneness preference. 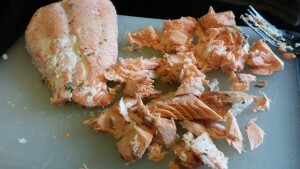 Chill the baked salmon and remove the skin before you make this recipe.